Our Wonder Woman, Gal Gadot accessorized her already sparkling Mugler gown with Tiffany & Co. 27-carat aquamarine drop necklace that has 1,000 diamonds. It is from the brand's 2018 Tiffany Blue Book Collection. 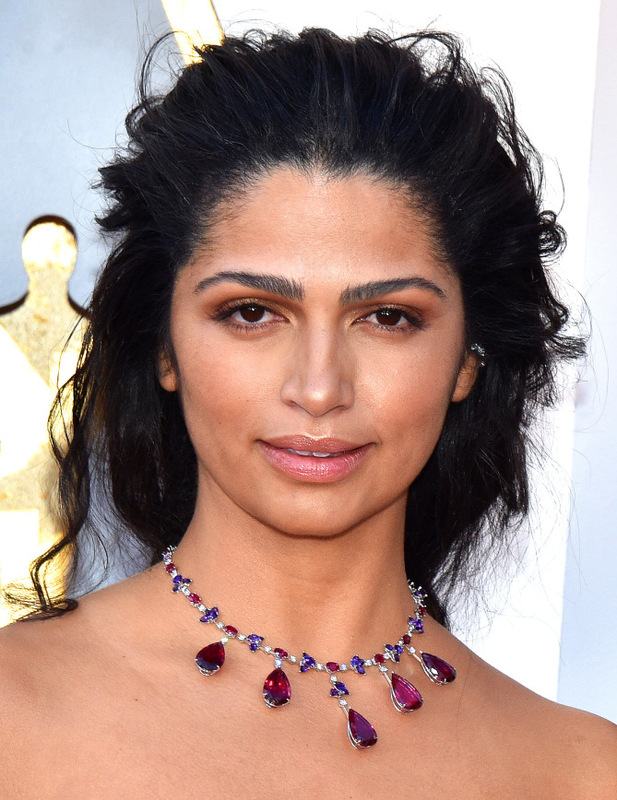 Camilla Alves added a pop of colors to her white gown by wearing Chopard necklace with rubies, amethysts and diamonds set in 18k white gold. Nicole Kidman's Harry Winston jewels consist of cluster diamond chandelier earrings, cluster bracelet with diamonds, a tulip bracelet with diamonds, a ring with round brilliant diamond clusters and a rock band with an oval-shaped diamond. That is a total of 84 carats! Allison Janney sparkled in 4-million dollar worth of Forevermark jewels that has a total carat weight of 128, with the choker having 55-carat worth of diamonds. When you think $4 million worth of jewels tops the list, think again. Andra Day wears a whopping $5 million worth of Lorraine Schwartz jewels. 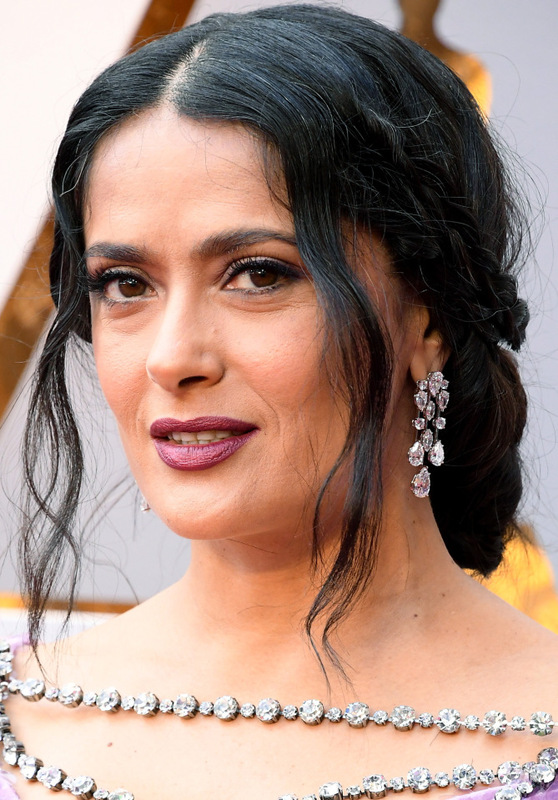 Salma Hayek piled on Harry Winston jewels worth $4.2 million that includes a 27.5 carat diamond earrings and a 11.66 carat oval-shaped diamond ring. Labels: bracelet, Celebrity Jewels, Chopard, earrings, Forevermark, Harry Winston, Lorraine Schwartz, necklace, ring, Tiffany and Co.